Quick question: how effective would you say your ideation process is at generating useful and meaningful design ideas? Interesting. So many good teams design average products. More often than not it’s because they’re missing a great idea. Ideation is the process of bringing ideas to life and determining the best solution to a problem. But despite the importance of ideation, it’s not always easy to implement a winning UX ideation technique in the design process. 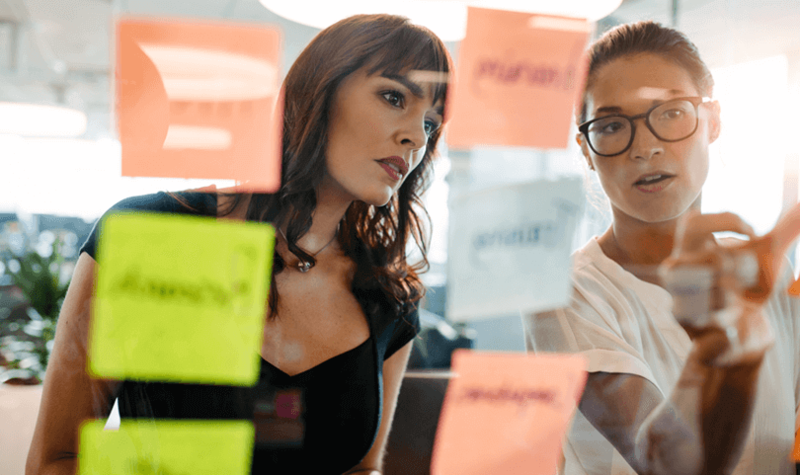 Lack of time, managerial support, knowledge of the user, as well as issues with group dynamics are some of the most common challenges related to ideation that design teams complain about. That stops now. Here are eight easy-to-implement UX ideation techniques that will help you put boost your ideation process in no time. Take a look – number three is our favorite! Provocation involves thinking up radical and unrealistic ideas to force the mind to think outside of the box and explore potential design solutions. With this UX ideation technique, participants are encouraged to consider new realities to extreme degrees. As the Interaction Design Foundation reminds us, creativity is about journeying through stimuli with a possible abstract or unseen destination in mind. Often, we’ll explore multiple paths to arrive at this destination; provocations help to inject the unconventional into these thinking patterns and provide the material from which a new idea might emerge. Challenging your assumptions is an important task that all creative teams should do throughout product development. This UX ideation technique forces participants to take a step back from the ideation process and start questioning aspects about the product they are trying to create. Usually this task will be based around a pre-defined term in order to generate more innovative ideas. Did you know that prototyping can also be a UX ideation technique? Think about it. When you create prototypes, you’re basically sketching/building out ideas before moving on to the final stages of the design process. The great thing about including prototypes in your ideation technique is that they keep things visual. When your team can envision your idea, it’s much easier to get behind it, or give it some constructive criticism. Also, your prototype can be as basic or detailed as you like. If you’re at the very start of your UX ideation phase, you could sketch a quick low-fidelity wireframe with pen and paper. Justinmind to design a high-fidelity prototype. Justinmind’s prototypes can built out with interactions and responsive features so that you can visualize your design ideas as realistically as possible, and across multiple devices. Learn more about the benefits of prototyping in the UX design process here. Storyboarding is a nonlinear brainstorming technique that involves developing a visual story related to a problem. It helps participants explore the problem in depth and come up with potential solutions through bringing the narrative to life. 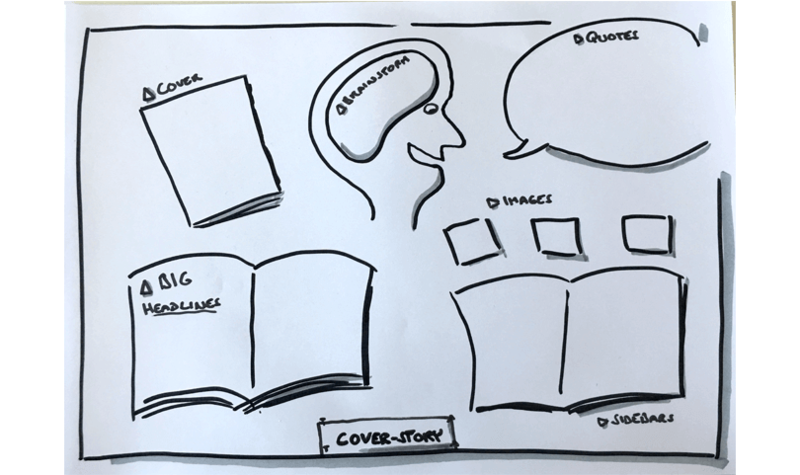 To introduce storyboarding as a UX ideation technique in your team, you’ll need: pens, paper and some sticky notes. As participants brainstorm, they write each idea on a card or sticky note, and post it randomly on a wall or other predetermined location. When brainstorming is complete, participants can begin to sequence the items based on the specific goal of the session. 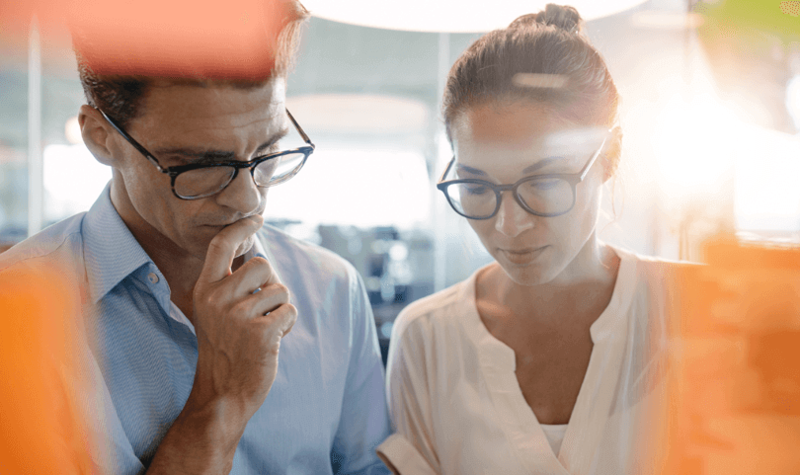 Any project that requires the ability to move items around and categorize, sequence and look at information simultaneously could benefit from storyboarding. Learn more about implementing storyboarding into your creative process here. Brainstorming is a combination of informal problem solving and lateral thinking. The technique intends for participants to come up with eccentric ideas. Some of these thoughts and ideas are crafted into original and creative solutions to problems, whereas help to spark additional ideas. To perform the brainstorming UX ideation technique, start by laying out the problem you want to solve and identifying the objectives of a possible solution. Then, try to generate solutions individually before bringing everyone together to share. MindTools says that participants should neither be criticized nor rewarded: this helps the flow of ideas and avoids stunted idea generation. Brainwriting is an alternative approach to brainstorming. Simply put, instead of asking participants to yell out ideas, you ask them to write them down. Then, each participant’s ideas are passed on to another participant who then reads them out and/or adds new ones. The idea behind this UX ideation technique is to reduce the anxiety and pressure that comes with brainstorming. With less tension, ideas can flow more freely. However, avoid brainwriting when working on complex issues that require open discussion and clarification. Worst Possible Idea is a great way to get your team’s creative juices flowing. The name is pretty self-explanatory: participants are asked to come up with the worst possible ideas for the solution in question. Start by asking participants to collectively create a list of bad ideas. From there, it’s essentially a reinvigorated flagging session. The winner? The participant who comes up with the most awful, stupid, unthinkable idea. One of the main objectives of this UX ideation technique is to relieve anxiety and tension. As IDF suggests, it’s much easier to say “Hey no that’s not bad enough” than the opposite. Gamestorming is a set of ideation methods that help participants break down barriers, overcome conflicts, improve communication skills and generate new ideas and strategies. Examples of gamestorming include 6-8-5 sketching, Fishbowl and Cover Story – explore more about these here. Gamifying processes doesn’t stop at UX ideation, gamification is making its way into all areas of the design process in order to help users feel like they’re making progress. To get started with your own gamestorming ideation technique, grab some colored markers, some paper and postit notes – plus this book by Dave Gray, Sunni Brown and James Macanufo on gamestorming for innovators. New ideas are exciting. But without a strong UX ideation technique, you risk missing out on that one great idea. So which technique should you choose? Remember, there’s no one-size-fits-all approach to ideation. Now that you’re more familiar with the UX ideation techniques listed above, you can start testing them out to determine which best suits your team and your product. A targeted UX ideation technique will boost the effectiveness of your design process and may save wasted time and resources. Previous articleThe Human Factor: Why is There So Much Bad Design?